Post a delicious breakfast, take a trip to the Miracle gardens of Dubai located in Al Barsha South. The park hosts the region's biggest flower garden with more than 45 million blooming flowers across 72,000sq/m, all showcased in a variety of immense sculptures and designs? Feast your eyes on blooming pyramids, stars, igloos, and hearts. Marvel at the record-breaking wall of flowers, or take a stroll under a ceiling of colorful umbrellas. Bursting with vibrant displays, the park feels more like an immersive art exhibit than a tourist attraction. Dubai, one of the largest and the most affluent cities of the United Arab Emirates (UAE) is a city known for its ultimate shopping, sky scraping buildings, modern architecture and state of the art infrastructure. The city of Dubai is an immensely popular tourist destination among the globetrotting travelers. Located around the eastern coast of the Arabian Peninsula, and the south west corner of the Arabian Gulf, Dubai is a city known for its vast deserts, serene beaches, glorious hotels, fun and exciting adventure destinations and much more. In all, Dubai is a complete holiday package be it for the solo traveler or a family vacationer. Apart from being a tourist attraction, Dubai also attracts a number of business visitors who come to the city for various conferences and seminars organized in the city. 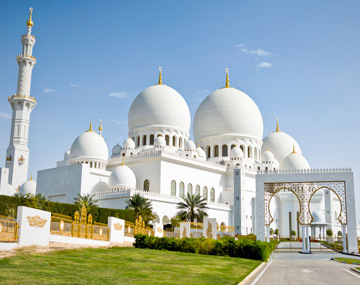 Being the second largest emirate of UAE, Dubai is also known for its large heart, its hospitality and virtues. The annual Dubai Shopping Festival is an important event that attracts shoppers from various parts of the world to the city, to shop for their favorite brands and goods. Dubai as a destination has mixed offerings for every visitor. It is also a wide spread destination, and hence it is important to opt for a well planned and cost effective package to make the most of your vacation at the best price. We have designed our packages so as to ensure you see every bit of this beautiful city and enjoy some leisure moments with your family, which is the primary objective of a vacation. We take care of the logistics involved in a foreign vacation including reservations, tickets and so on, so that is one thing off your mind. Finally my trip to Dubai. I had some memorable moment as the cruise sailing under the moonlight,The Tallest Burjh Khalifa.....was ultimate. Bookotrip Thanks !!!! !